In your daily life, you will often come across the issues about audio, regardless of what you are using, Realtek or Intel HD audio. 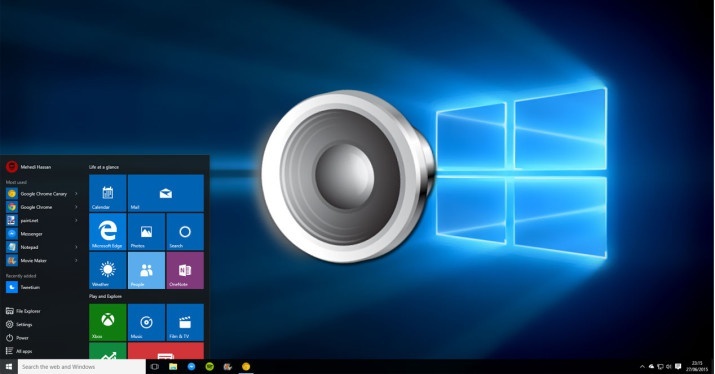 For instance, your audio has no sound in Windows 10 or the speaker does not work after upgrading to Windows 10.It may mean that it is time to update your audio drivers for Windows 10 due to the driver compatibility problem or the improvement of the audio sound. To update the audio drivers to the latest version, you can adopt a great many ways, here in this passage, you will come to know three different methods and you can select one suitable for you. If you yearn for resolving the Windows 10 no sound issue without any outside factor interfering in, you can update the Realtek HD or Creative audio or any other audio drivers via device manager, which is a built-in tool for controlling driver software. 2: Expand Sound, video, game controllers and right-click it to Update the right audio driver, such as Realtek HD audio drivers. 3: Click Search automatically for the updated driver software. Then the audio drivers will have updated for Windows 10. After that, you will get the latest audio driver version, such as VIA High Definition Audio or M-audio, and the Windows 10 no sound problem may have been solved. 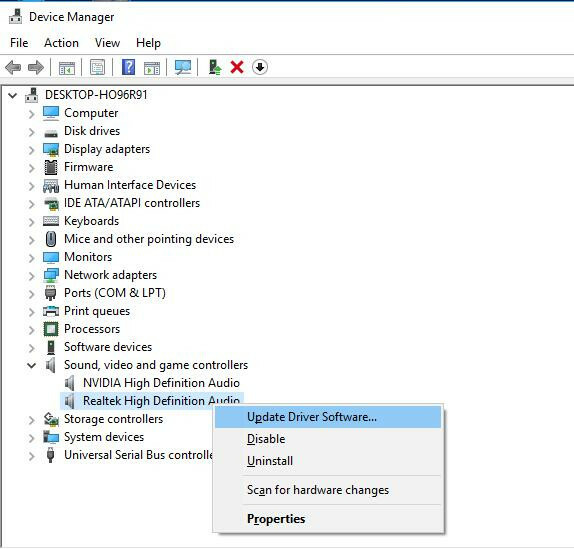 Apart from device manager, you can also try to update the Realtek HD or Creative audio driver by Windows update in Setting of Windows 10. If you have no idea about updating the Windows 10 audio drivers by device manager, you can go straight to the Manufacturer’s official site to download the latest version of audio drivers. It may be a way of safety and feasibility. And you can see the concrete information about the audio device from device manager. Therefore, it is easier for you to get the latest audio drivers from the official site. If you have downloaded the Windows 10 audio drivers, such as IDE or VIA High Definition Audio drivers, you can install it on your PC corresponding to the installation guideline. If you can download the latest audio drivers from the official site, you will be able to enjoy the high-quality audio sound. When you are unable to download the Windows 10 audio drivers by yourself, you can try to use Driver Doctor as an assistance. 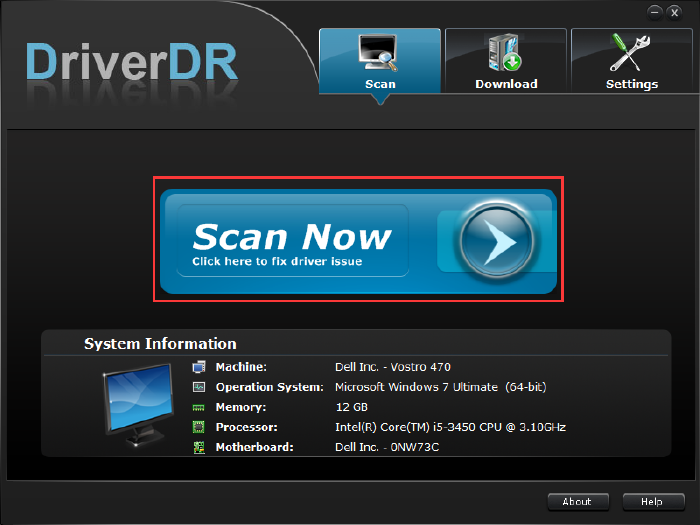 Driver Doctor is a professional and exceptionally safe tool for driver issues, which can be an excellent helper for you to update the latest audio drivers, such as Realtek or Intel High Definition audio drivers. First of all, download Driver Doctor. Step 1: Click Scan Now. After you installed and launched it on your PC, click Scan Now button. Driver Doctor will search your computer for the outdated or missing or even damaged drivers for Windows 10. Step 2: Click Get Drivers. Then Driver Doctor will show you how many drivers can be updated, including audio drivers, such as Intel HD audio drivers. Step 3: Tap Download Now. Then you will download the Windows audio drivers. Follow the installation procedures as it shows, you will immediately install the audio drivers for Windows 10. Driver Doctor will finish the process within several minutes. So it is strongly recommended to use it as a tool to fix the audio such as Realtek HD audio driver issue. To a large extent, you should make use of the ways above according to your actual circumstance.